For better or worse? I’m assuming better? Sorry, forgot to say. Yes, the active ATC was much more accomplished. So much so that I bought some 13 year old ATC SCM150 SCL that are back at the factory being uodated to new spec at the moment. She would definitely lunch me if I had that many speakers in our living room let alone atc’s! I think that day we were comparing ATC, Dutch &Dutch and Kii THREEs. Not true , or rather only true if you buy off the shelf actives with the power amplifiers inside the cabinet. If instead you make your own and do the active work outside the caninet then tht option for box swapping in greatly increased , differnt amp for bass and treble , matched amplifiers , Single AV unit with at least five chanells the options are on this alone are limitless. Then you can switch the crossover unit from simple (MiniDSP) to complex gving you another set of boxes you can flip . I presume you meant to say "lynch" me not "lunch me" but I think the latter is just as scary! 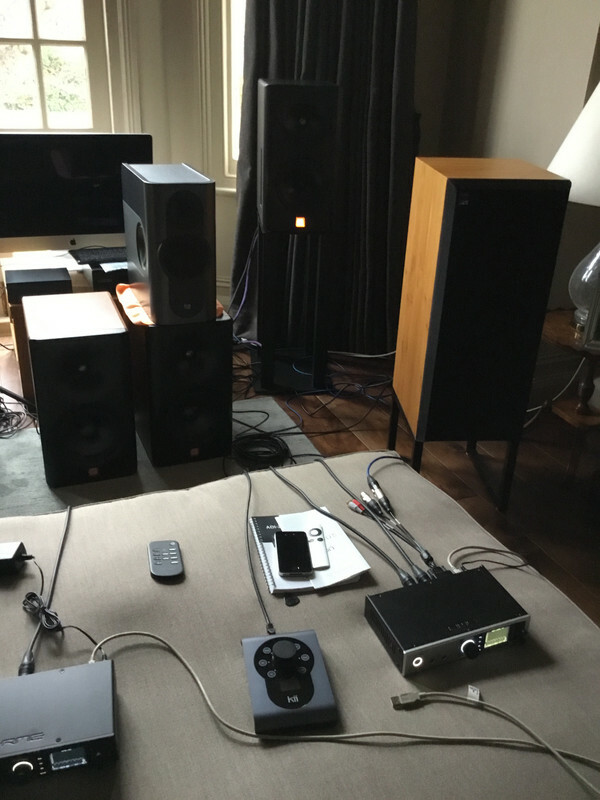 I bought passive SCM40's for my Kendal man-cave and around the same time upgraded from ProAc D30R to D30RS for the main rig in Leicestershire; the ProAcs were not quite as good in the mids but tighter in the bass. I then realised (duh) that it was going to be cheaper to buy the active SCM40A's for Kendal than to keep the passive SCM40's and upgrade my Arcam A39 amp there. I sold the passives with 2 months and bought the active versions without auditioning them (shock horror!) on the basis that I was hugely impressed with the passives and the drivers, cabinet etc were identical so actually I wasn't changing speakers I was changing amplification. I'm currently working out what to do in Kendal, but my recently acquired (courtesy of this forum) ProAc Studio 125's are doing a fine job for now, thank you. In summary: no going back. I also had one direct comparison of otherwise identical actives vs passives - ATC 50s. At the time the only difference I heard was the actives had less bass. Only later I undetstood that this was better bass, not less bass. I wouldn’t have expected that much difference between two identical designs, but I haven’t made that comparison, although it would be interesting, the problem is placing the loudspeakers as their very position will affect their bass response, Harman built a ‘shuffler’ that can position a loudspeaker into the very same spot, music playing within three seconds. Why not? An active crossover gives more accurate crossovers (slopes and phase in particular) and an amp connected directly to a driver without the passive gubbins in the way has much more control over the drive unit. If it doesn't sound different, it would seem to be a very poor active implementation. My view is that's an easy mistake to make. But It's not just about actives being better, its about intermodulation distortion being reduced... Especially on the power supply. There are many of reducing this, the result is a more detailed and realistic sound. you can make most systems sound better by multi amping as long as you are not adding components that damage the signal.